The Dolly Rockit Rollers (DRR) is excited to announce their chosen charity for 2015 is Womens’ Aid Leicestershire Limited (WALL). Members of Leicester’s original womens’ roller derby league collectively voted to raise funds for WALL – an organisation which provides vital assistance to all victims of domestic abuse and sexual violence. League member Germaine Leer says this cause is important to many skaters at DRR. 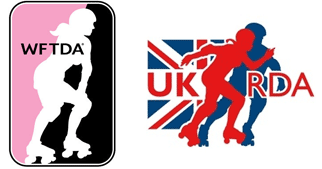 “Roller derby encourages women and men to develop their self esteem and confidence through fitness and working as a team. It’s exciting that we can positively use this shared empowerment to come together and raise funds for WALL, which provides a vital service in Leicestershire. 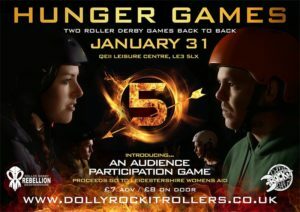 DRR is raising money for WALL at their first game of 2015 against Rebellion Roller Derby on January 31st at the Queen Elizabeth II Diamond Jubilee Leisure Centre, Leicester. WALL will also be hosting a stall at the event and are inviting people to come and visit them to find out more about their work.